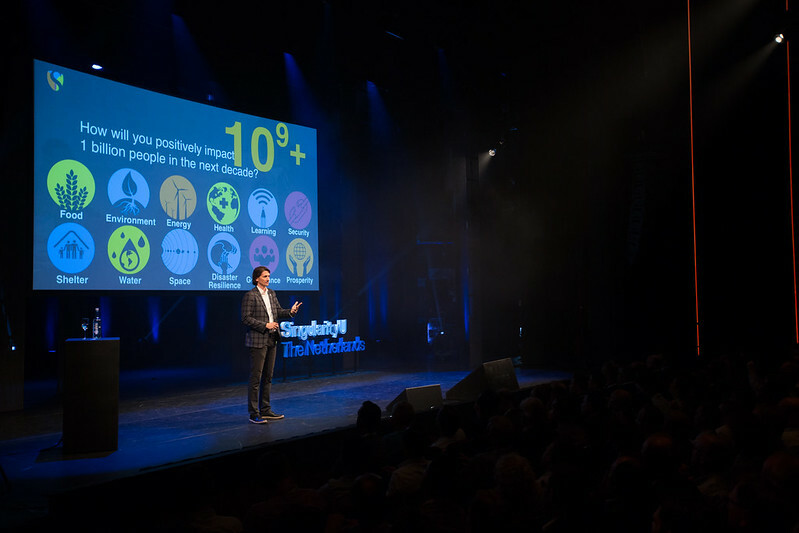 After a two year hiatus, the SingularityU Summit, the number one innovation conference returned to The Netherlands. For those that weren’t able to attend, and those that want to retrieve memories, we’ve collected some of the most interesting content of the two days. For a quick recap, we recommend this Storify by The Innovation Station. If you want a more in depth look, there are plenty of interviews with speakers on our YouTube channel. You can also relive the day by watching the photos (thanks to Sebastiaan Ter Burg). Of course, 10-year old Tilly Lockey and her bionic arm were the stars of the two days. Not only did her quotes go viral, the Jeugdjournaal came to visit her at the Summit as well! Other press coverage of the event: Bright, Telegraaf, Frankwatching, Fast Moving Targets. Several people have informed about the availability of the materials (videos and slides) of the speakers. We’re currently working on bringing as much material online as possible and will inform you over the next weeks.